In a week when Newspoll showed electoral wipeout for the Government, Morgan’s more extensive multi-mode poll showed no rise in the L-NP’s primary vote and only 0.5% on a two party basis. 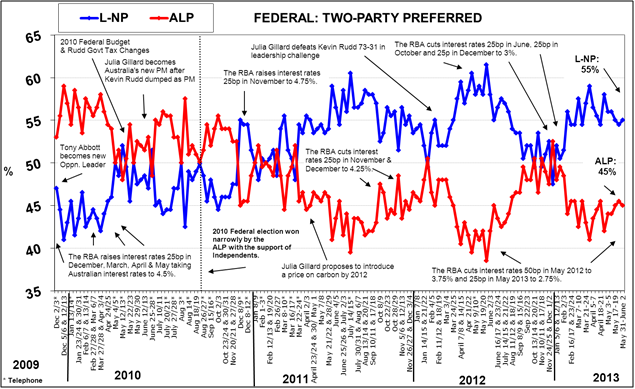 LAST WEEKEND'S multi-mode (Face-to-Face, Internet and SMS interviewing)weekly Morgan Poll of 3,276 voters showed support for the L-NP at 55%, up 0.5% over the past week (since May 24-26, 2013) against the ALP 45% (down 0.5%) on a two-party preferred (2PP) basis. Meanwhile, Newspoll (typically of around 1,000 voters with landline numbers) showed the L-NP with a 16 point lead 2PP — 58% to 42%. Newspoll also showed a sharp rise in the primary vote for the L-NP — up 3% rise to 49%. However, Morgan showed the L-NP primary vote at 45.5% ‒ unchanged for the last two polls ‒ while the ALP primary vote was down 2% from last week to 31.5%. Among the minor parties, Morgan shows Greens support is at 9.5% (unchanged) and support for Independents/Others up 2% to 13.5%. As IA columnist Bob Ellis said in the Sydney Morning Herald in 2009, there are “questions to be asked” about Newspoll’s “whopping poll”. 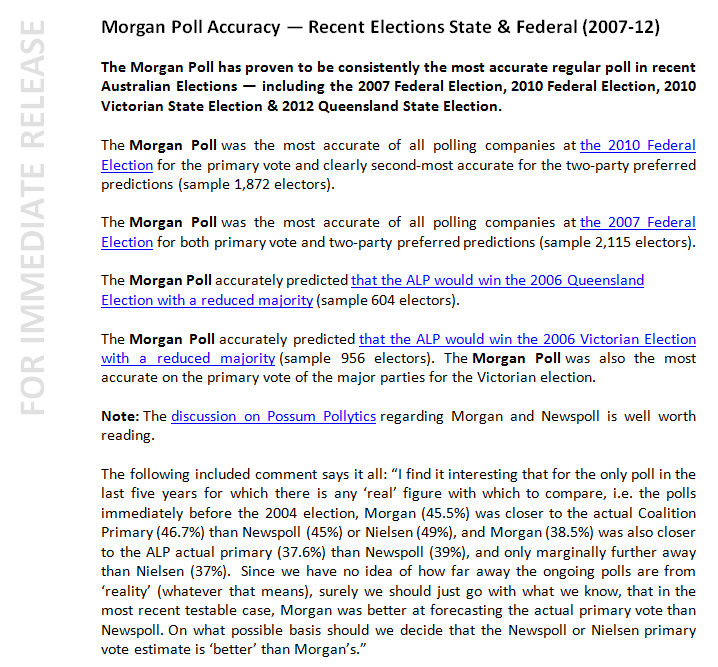 Morgan Poll talk about their polling accuracy in their latest press release. 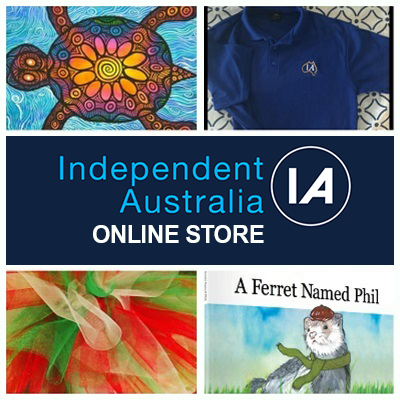 A special online Morgan Poll conducted over the last few days shows a slim majority of Australian electors (53%) say they will vote either yes (23%) or are ‘leaning towards’ voting yes (30%) in this year’s Constitutional referendum question on whether to allow the Federal Government to directly fund local government. This compares to 21% that say they will vote no to the question and a further 10% that are ‘leaning towards’ voting no — a total of 31%. Another 16% are still undecided.